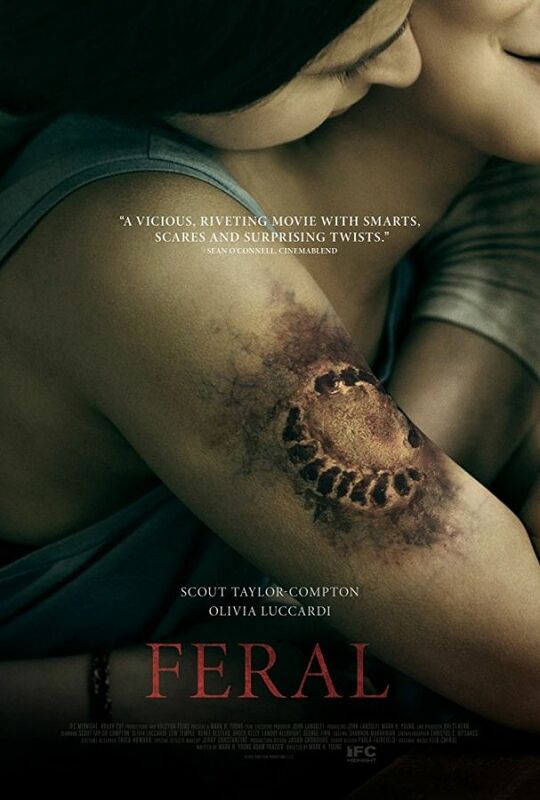 In the movie Feral, your best friend has just been infected with a horrifying virus that will soon turn her into a rabid, rampaging cannibal-zombie. Do you: a) try to save her? or b) kill her before she kills you? That’s the nightmarish scenario six students find themselves facing when their celebratory camping trip goes terrifyingly wrong. One by one, each falls victim to the “feral” disease, until only Alice (Scout Taylor-Compton, Rob Zombie’s Halloween) and Jules (Olivia Luccardi, It Follows)—two girlfriends testing the waters of their new relationship—are left standing, armed with a shotgun and holed up in a remote cabin. They’ve got a hell of a fight before them if they hope to survive…”The Walking Dead’s” Lew Temple costars in this grisly blend of survival thriller and contagion shocker.